This week's assignment was to redraw the echo hello-world board and to add at least a button and an LED to it. 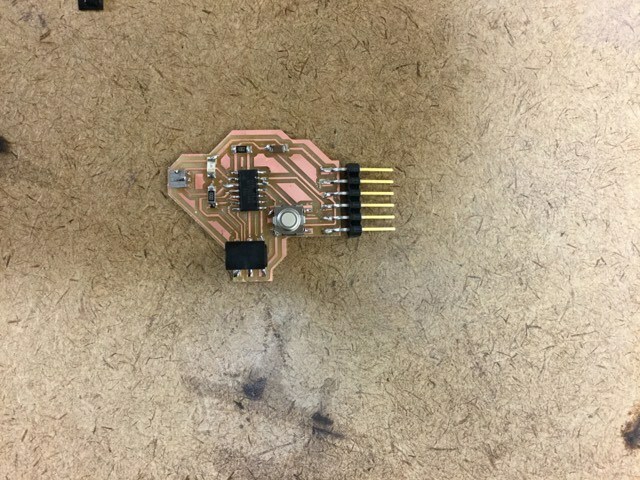 This was a week that I learned to use EAGLE, which is not the most user-friendly software ever, but helped me 1)learn some basics of electronics design and 2)realize what when the program can not see/optimize something, this doesn't necessarily mean that the problem can not be optimized. An interesting part of the assignment was, also, to make the board using the skills we learned in week 2. Figure 1. Left: importing the fab library in EAGLE. Right: the design of the controller we had to make. Figure 2. 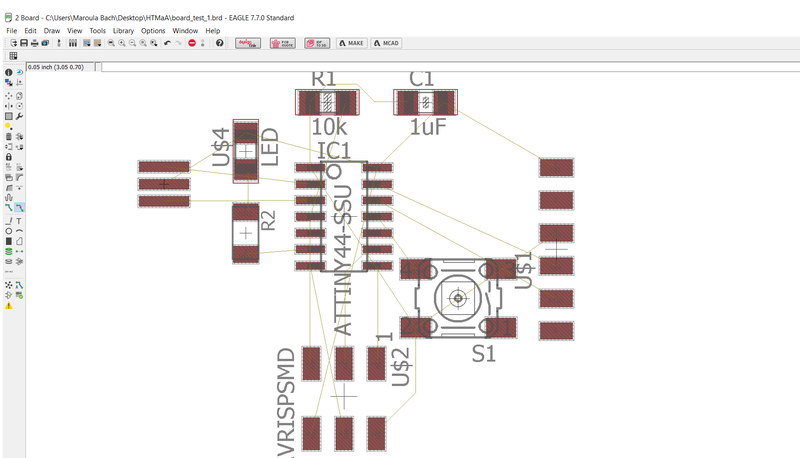 Importing and connecting the parts in EAGLE according to the sketch. Figure 3. 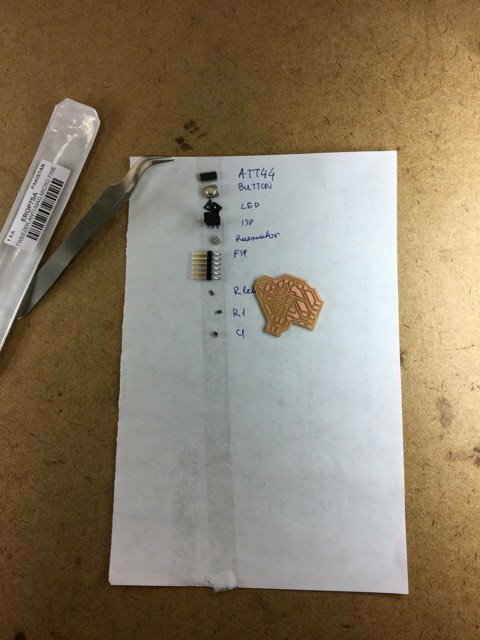 Adding the LED and the button. Moving the parts apart in EAGLE and rotating them in the board mode. Figure 4. 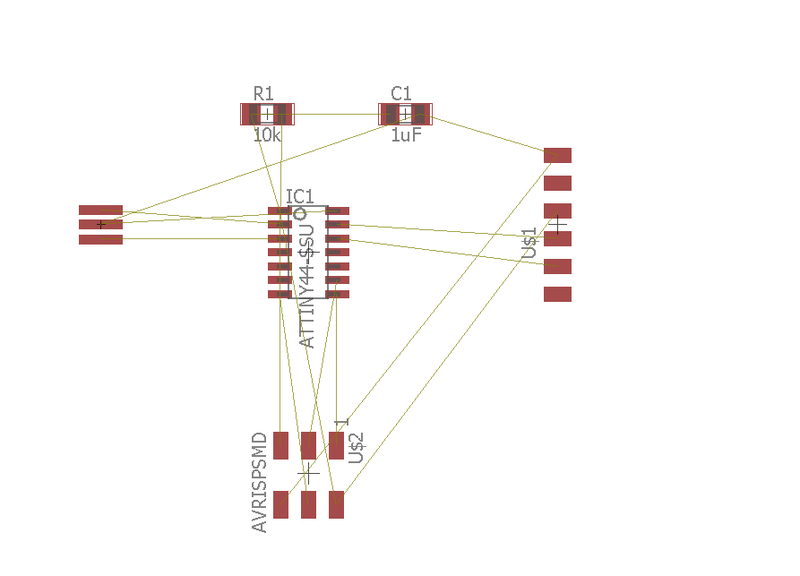 Getting double layer using auto routing. I had to modify the board and redesign some parts manually. Figure 5. Exporting from board mode to .png. Figure 6. 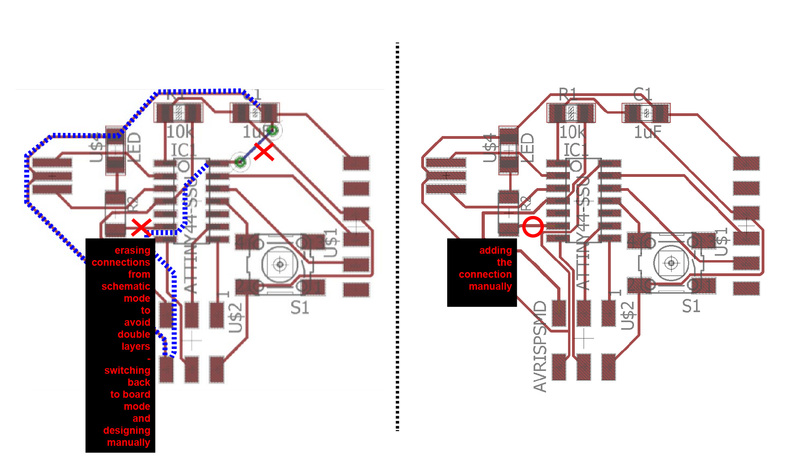 Despite exporting a rectangle from EAGLE, I changed the shape of my board in GIMP (still using the 20px offset). Figure 7. Collecting the parts and tools to solder my board. Figure 7. Final board. Still to test it! Figure 8. 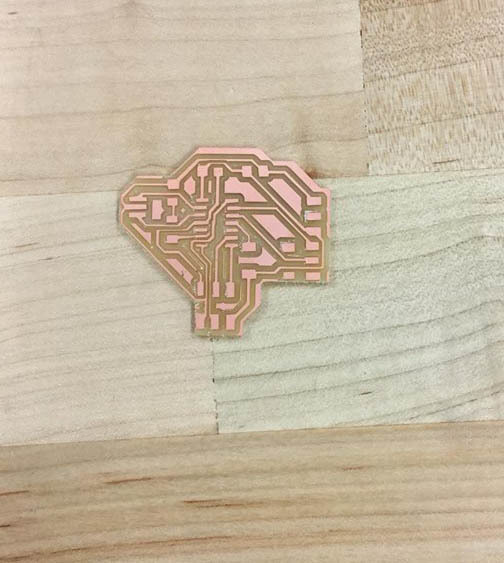 Sketching a board by hand before designing it in EAGLE, or any PCB design software, helps understanding it better - and designing it more quickly when using the software.